Moving to such a small rural borough, I never expected there to be quite so many family friendly days out, right on our doorstep. Whether you are local to West Lancashire or not, you need to check out these fun (and often educational) family attractions which will keep your kids busy for hours on end. Definitely my toddler’s favourite day out in the whole of West Lancashire- he’s very lucky that he gets to go here once or twice a month with his childminder who adores this place as much as we do! 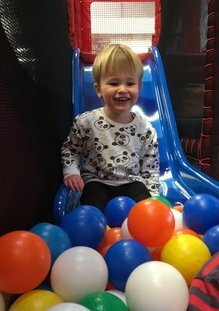 Jollie’s Barn, located at Leisure Lakes, Mere Brow, is the ultimate soft play for toddlers, especially those under 3. What I love most about Jollie’s Barn (aside from the price which is a bargain!) is they also have an outdoors play area for those hot summer days. There’s also a cafe on site so you can chill with a coffee while your toddler goes mad in the soft play! Free entry for under 2s at off peak times and £3.95 for under 4s. Family tickets available. Open seven days a week, all year round. The ultimate farm in the North West and a must visit destination for any child. Farmer Ted’s always has so much going on for children and adults alike. Located between Formby and Ormskirk on Flatman’s Lane, there’s a world of things to do when you arrive such as meeting farm animals, go karting, exploring the adventure maze, archery, watching birds of prey and an indoor and outdoor play area. Check out the website for seasonal activities including Easter egg hunts in March/April, pumpkin carving in October and gingerbread decorating in December. Prices start from £4.75 with prices going up slightly on the weekend. Open all year around except for January and two weeks in November. Nestled between the beautiful village of Dalton, Skelmersdale and Upholland, Beacon Country Park is a stunning place to take the kids, especially in the Summer and cooler Autumn months. Beacon Country Park offers a mix of woodlands and 300 acres of grasslands whilst offering beautiful panoramic views across Lancashire. We love taking the kids here for long walks across the grass and exploring in the woods, hoping to stumble upon the Gruffalo who has been carved out of a tree. The perfect place for long walk, a bike ride or just relaxing with a yummy picnic. Free entry and free car parking available. 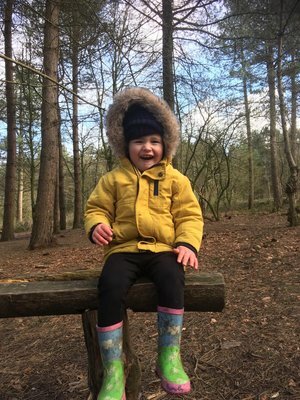 Our toddler is absolutely train mad and loves a day out to West Lancashire Light Railway which is located in Hesketh Bank. 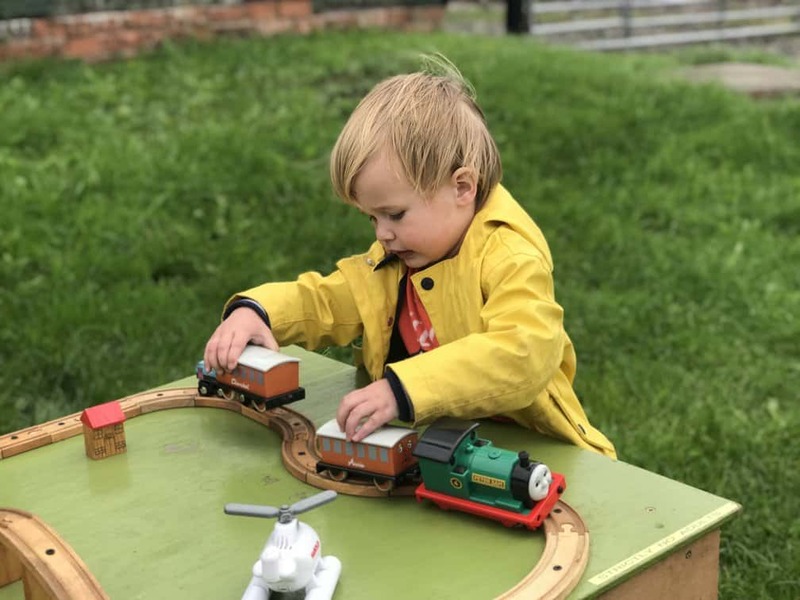 The light railway is run by volunteers who give up their Sundays and Bank Holidays to run this toddler friendly attraction with huge smiles on their faces. From the purchasing of tickets in the vintage ticket office, to getting on the train and riding down the track for a quarter of a mile, your kids will love the experience of this live steam train. The best bit? Once you’ve purchased your ticket, you can ride as many times as you want! There’s also a gift shop on site offering teas, coffees and juice. And lots of toy trains for the kids to play with once they got bored of riding the locomotive. Ticket prices start from £2.50 and there’s free parking on-site. Located in the historic village of Rufford, Rufford Old Hall is a 500 year old fine Tudor building. Which used to be home to the Heskeths before they moved to Rufford New Hall in the mid 18th century. As well as the historic hall to explore, Rufford Old Hall boasts large grounds including a one mile nature trail. Perfect for kids who love to spy butterflies and dragonflies. Why not take part in one of the garden games on the lawn- chess or croquet or explore the woods and build a den? There’s so much to do at Rufford Old Hall and it’s a fantastic day out for the whole family. We love bringing along a picnic. But if you can’t be bothered to make sandwiches. the site has a gorgeous tearoom, complete with children’s menu. Free entry for National Trust members, adult ticket prices with gift aid cost £10.50 and under fives go free. Check website for opening times as these can vary depending on the day of the week and season. Located just down the road from Rufford Old Hall. Mere Sands Woods is a nature reserve which sits where the huge Martin Mere, which was the largest body of fresh water in England, until it was drained in the mid-19th century. The name Mere Sands comes as this location was the shoreline of Martin Mere. Within the reserve are lakes, sandy wet meadows, forest, six bird hides and several walking path routes which are accessible for both wheelchairs and prams. As well as using the bird hides to look out for magnificent kingfishers, woodpeckers and sparrows. You can also see foxes, squirrels, deer and water voles around the reserve. Truly a nature lovers paradise. I love bringing my toddler here to safely spend a couple of hours exploring the paths of the reserve while learning all about the insects, mammals and birds we stumble across. Entry into Mere Sands Woods is free, however it costs £2 to park your car for the day. Nicola who blogs over at Mummy to Dex lives in rural West Lancashire. With her husband, two year old spirited toddler, Dexter and newborn baby, Felix.